If you want to start your tour of exploring India, think no further than the North East India Tour Packages offered by Naturecamp Travels. The Northeast region comprising of 7 states is also known as the land of Seven Sisters. Most of them are untouched and there is so much to explore. Being bountiful in flora and fauna, our package offers you not only to have a glimpse but relish the numerous places of scenic beauty. Whether it’s Sikkim, West Bengal, the beauty of Nuranang Fall, or Sela Pass, our package covers it all. Book our package now and stay prepared to have some breathtaking experiences with your friends and family members which you all can relish for the rest of your life. Why Visit North East India? One of the places which are not only enigmatic but also offer untouched beauty is the Northeast region. These states are the storehouse of anthropological and natural preserves. Enjoy the scenic beauty of the large glacial Himalaya, massive floodplains of Assam, rhinos grazing in the wet savannas of Kaziranga, or just enjoy an adventurous journey to Tawang. The list is so long that you will surely be losing track of time. Each state has a unique and appealing beauty to offer and leave you spellbound. The colonial atmosphere of Shillong will leave you amazed, while Arunachal Pradesh has a majestic touch to offer. Inhabited by groups of friendly people, visiting north-east India will offer you the scope to meet some of the friendliest citizens of the world. If you love winter, the best time to visit the places is November to April. With Naturecamp Travels by your side, you don’t have to worry about hotel booking or meals anymore. Kaziranga National Park: This National Park has been declared to be a UNESCO Heritage Site. Being the homeland of one-horned rhinos, the Kaziranga National Park attract numerous of tourists all over the year. There are around 35 mammal species and hundreds of bird species flying down every year. Tawang Monastery: It is the largest monastery in India situated at a height of ten thousand feet. The best time to visit the Tawang Monastery is between the months of April to October when it offers tourists a breathtaking view of the valley. Visit it on a full moon night to enjoy the celestial beauty of 850 sculptures there. Gorichen Peak: Located 6,500 meters above the sea level, it is one of the climbable peaks. The Gorichen Peak is ideal if you are planning for activities like trekking, rock climbing, or camping. No doubt, summer is the best time to visit this place. Nathu La Pass: If you want to experience an energetic feeling, go trekking on the Nathu La Pass. The temperature is around 15 degrees during the summer so move gradually and take baby steps. The views are powerful enough to stay ingrained in your memories for a long time. Pick up from Guwahati Air Port/ Railway Station and Transfer to Shilong. Night stay at Shilong. Day2: Full day Excursion to Cherrapunji After Morning breakfast Proceed to Cherrapunji. Cherrapunji is one of the wettest destinations on the World. Enjoy Sightseeing of Cherrapunji like Nohkalikai Falls, Dain-thalen falls, Nohsngithiang Falls, Mawsmai Falls, Thangkharang Park, Double Decker Living Root Bridge and back to Shilong and Night stay. Day3: Shilong Local Sightseeing Enjoy Local Sightseeing tour of Shilong. Visit Shilong view Point, Lady Hydari Park,Buytterfly Museum and Night stay at Shilong. Day4: Shilong to Kaziranga National Park. Kaziranga, one of the biggest National Park of India, popular for great one-horned Rhino. 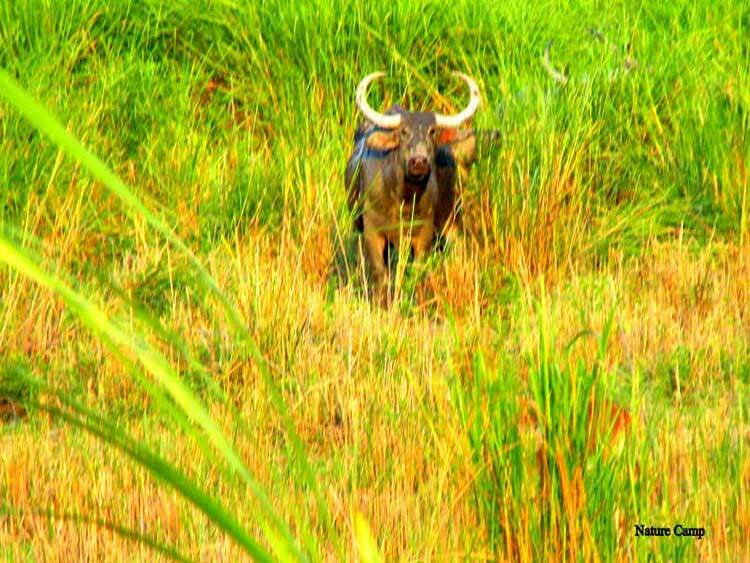 Also Kaziranga is one of World Heritage Site, declared by Unesco. Night stay at Kaziranga. Early morning Elephant Safari at Kaziranga and After Lunch enjoy jeep safari, Kaziranga is one of of best destination for jungle safari. Night stay at Kaziranga. After Breakfast transfer to Guwahati. Evening Enjoy Boat Cruse (Optional) and night stay at Guwahati. Day7: Transfer to Airport/ Raiway Station. Transfer to Guwahati airport or railway station. Arrive at Guwahati and transfer to Hotel, Night stay at Guwahati. Transfer to Bhalukpong, Get way of Arunachal, Night stay at Bhalukpong. Early Morning transfer to Bomdila, Bomdila is a headquarters of West Kameng district. Height about 8000 ft.One of beautiful destination of North East India. Night Stay at Bomdila. After Breakfast drive to Tawang. It is located at a distance of 183 Kms and altitude of 10000 ft. Bomdila to Tawang is most beautiful road, on the way visit sela pass and Sela Lake, Night stay at Tawang. Excursion at Tawang monastery, one of Popular Monastery of Arunachal. It is 300 Years Old. It is Largest Monastery of India. Also you can visit local craft centre and explore town by walk. Night stay at Tawang. Early Morning Transfer to Dirang, one of the Cultural destinations of Arunachal. Dirang is a Small town in the West Kameng district of Arunachal Pradesh. Night stay at Dirang. After breakfast visit Dirang Monastery. You Can Enjoy View of Dirang Valley. Also Visit Sangti Valley is situated 7 km away from Dirang. Night stay at Dirang. Nameri National Park is located in the foothills of Arunachal Pradesh. It is one of virgin forest of North east India also one of best adventure destination for adventure lovers. You can enjoy River Rafting and Jungle Hiking. Night stay at Nameri. After Breakfast transfer to Guwahati Airport/ Railway Station. Pick Up from Guwahati/ Bangaigaon to Manas National Park, one of the Largest National Park of North East India. 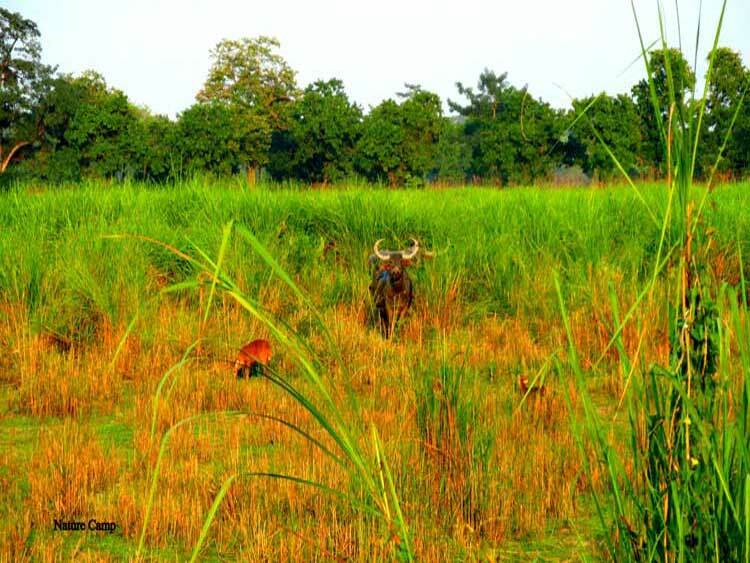 Manas National Park is UNESCO Natural World Heritage (in danger) Site and a Project Tiger and Elephant Reserve. Manas National Park is a Unique Wildlife Destination and a Biosphere Reserve. Night Stay at Manas. Early Morning Elephant Safari and after Breakfast Local Village Visit By walk. After Lunch Jungle safari at Manas National Park. Night Stay At Manas National Park. Early Morning transfer to Kaziranga, one of India's best known national park. Kaziranga National park is popular for one horned rhino. Night stay at Kaziranga. Early Morning Elephant safari and after breakfast visit our Adventure camp at Kaziranga, You Can Enjoy jungle hiking, bird watching and different adventure activities. Back to Resort and after lunch Proceed to Central Range of Kaziranga National Park. Night Stay at Kaziranga. Drive to Nameri National Park, one of Best destination for Birds lovers. Night stay at Nameri. Early Morning cross the river Jia Bhorolli by boat and visit inside the forest by walking, Night stay at Nameri National Park. After breakfast leave for Guwahati Airport. North East India is a beautiful place dominated by the mountains and the hills to a large extent. The region shares its boundaries with the neighbouring countries of Bhutan, Tibet, Myanmar and Bangladesh. The best time to visit this region depends on the destination which you want to explore. But, travelling to this region should be avoided in the rainy season as the hilly regions become inaccessible during extreme monsoon and winters. The region blooms to its full grandeur between the months of November to April. Thus, the best time to visit North East India is during the peak season – November to April. Why Choose Our North East Holiday Packages? Our team of knowledgeable travel managers takes care of all your traveling needs. You don’t have to stress out planning your North East holiday, we will do the needful. Packages are tailored according to your needs and budget. We offer both family and small tour packages. Luxury hotels are available according budget. Make arrangements for the Protected Area Permission or Restricted Area Permission before entering the North Eastern states like Mizoram, Nagaland, Manipur or Arunachal Pradesh. Carry sufficient mosquito repellent and a first aid box for emergency. Dress modestly and open your shoes before entering a temple, dargah or tomb. Carry an adequate number of packaged drinking water irrespective of the state you are visiting. You can avail a direct flight from Kolkata or Delhi to reach Assam, Nagaland, Tripura or Manipur. Though, we suggest tourists travelling to North-East India to either take a flight to Dibrugarh Airport or Silchar Airport in Assam. Though you can avail the Saraighat Express to reach North East India, you might have to face a lot of delays as the tracks are still not electrified. The easiest way to reach Sikkim is by booking a train to New Jalpaiguri. "Great experience. Thanks a lot to Naturecamp Travels for organising such a good tour." "Most reliable and reasonable tour operator. Well organised with totality and cost effective." "Availed service from this Travel Agency. Very satisfied. Good service and reasonable pricing. Will surely suggest everybody to try it for once."